NTV Installations - Alarms/Security, TV Aerials/Satellite Services based in Burnopfield, County Durham. 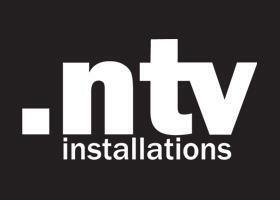 NTV Installations is a local, family-run business that specialises in audio/visual installation and support. Based in Newcastle, we have over 25 years of experience in all aspects of aerial and satellite installations and repairs. We can install all types of digital aerial and satellite TV. We can supply and install Freeview. Freesat, Sky Hd and IPTV boxes. Wireless access points are becoming more and more vital in today's digital world. NTV Installations can install an access point anywhere you require. Just contact us for advice. Whether you need Sky Multi Room setting up, or simply installing wall mountings for your TVs, we will ensure you receive the best possible service and a quality product. NTV Installations also provide security and surveillance systems, such as CCTV cameras, and can advise on the correct system to use. For all general enquires or to arrange an appointment, call NTV Installations today on 07889 649136.